These are raw brass findings that are made in the USA. 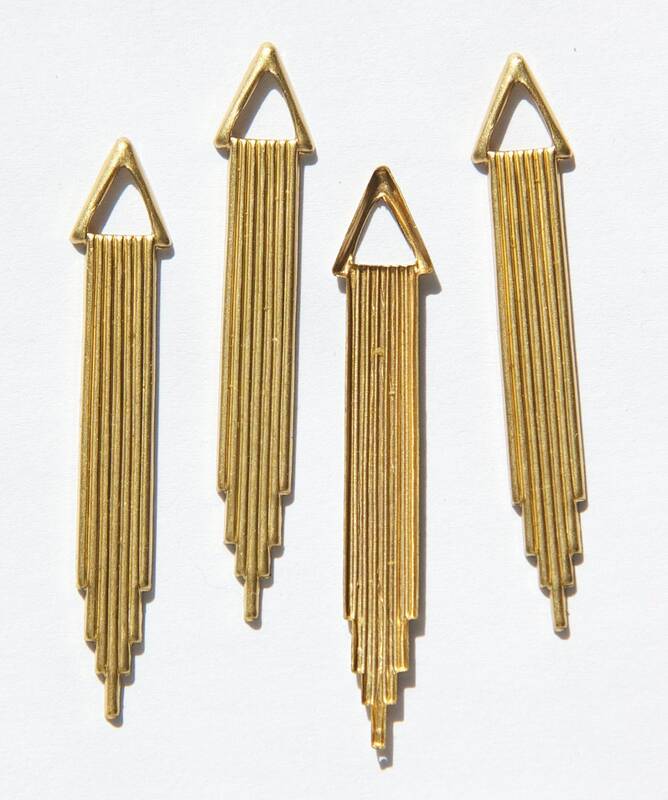 These brass drops have a triangle at the top. One is turned over in the picture so you can see the back. 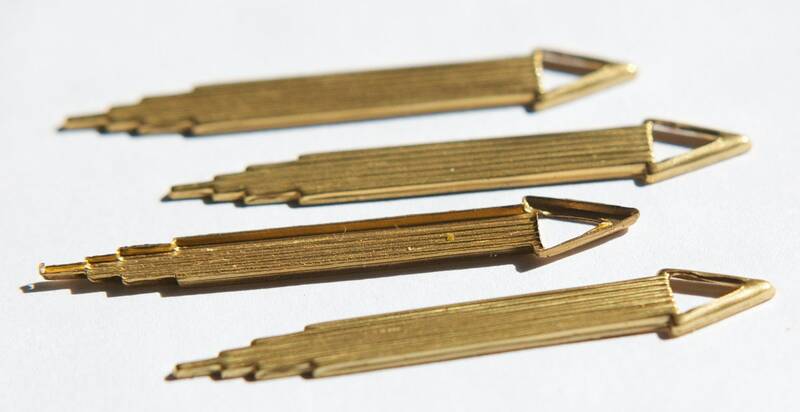 These measure 49mm long X 7mm wide. You will receive 6 pieces. I have these listed with a loop at the top also. So happy with this transaction! Great product, fast shipping and great communication!